In my previous post, The Open Loop of Industrial-Technological Civilization, I ended on the apparently pessimistic note of the existential risks posed to industrial-technological civilization by friction and inefficiency in the STEM cycle that drives our civilization headlong into the future. 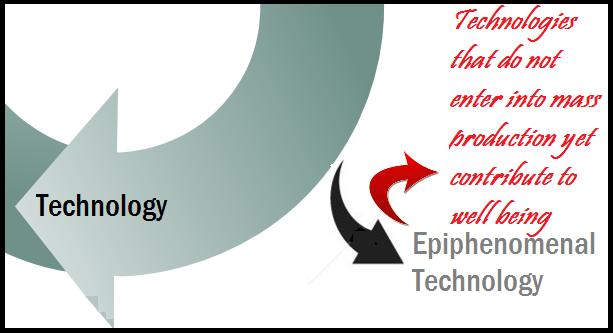 Much that is produced by the feedback loop of science, technology, and engineering is dissipated in science that does not result in technologies, technologies that are not engineered in to industries, and industries that do not produce new scientific instruments. However, just enough science feeds into technology, technology into engineering, and engineering into science to keep the STEM cycle going. These “inefficiencies” should not be seen as a “bad” thing, since much pure science that is valuable as an intellectual contribution to civilization has few if any practical consequences. The “inefficient” science that does not contribute directly to the STEM cycle is some of the best science that does humanity credit. Indeed, G. H. Hardy was famously emphatic that all practical mathematics was “ugly” and only pure mathematics, untainted by practical application, was truly beautiful — and Hardy made it clear that beautiful mathematics was ultimately the only thing that mattered. Thus these “inefficiencies” that appear to weaken the STEM cycle and hence pose an existential risk to our industrial-technological civilization, are at the same time existential opportunities — as always, risk and opportunity are one and the same. 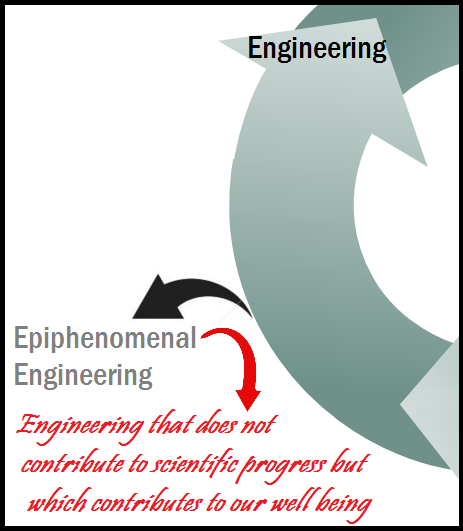 Such a formulation must be balanced by an appropriate and parallel formulation to the effect that it is entirely possible that a shift in social, economic, cultural, or other factors that influence or are influenced by the STEM cycle could decrease the amount of epiphenomenal science, technology, and engineering, thus increasing the efficiency of the STEM cycle. However, making the STEM cycle more “efficient” might well be catastrophic, or nearly catastrophic, for civilization, as it would imply a narrowing of human life to the parameters defined by the STEM cycle. This might lead to a realization of the existential risks of permanent stagnation (i.e., the stagnation of all aspects of civilization other than those that advance industrial-technological civilization, which could prove frightening) or flawed realization, in which an acceleration or consolidation of the STEM cycle leads to the sort of civilization no one would find desirable or welcome. There is no reason one could not, however, both strengthen the STEM cycle, making industrial-technological civilization more robust and more productive of advanced science, technology, and engineering, while at the same time also producing more pure science, more marginal technologies, and more engineering curiosities that don’t feed directly into the STEM cycle. The bigger the pie, the bigger each piece of the pie and the more to go around for everyone. 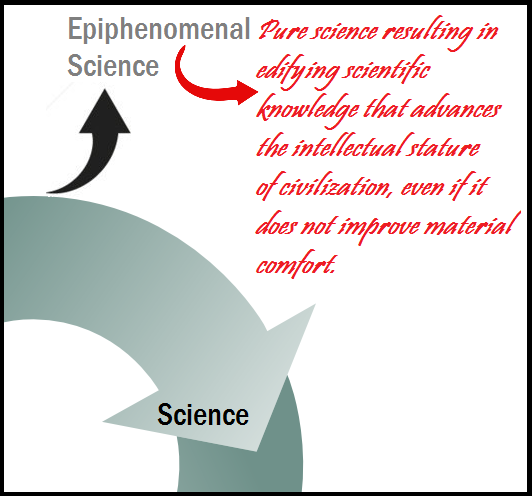 Also, pure science and practical science exist in a cycle of mutual escalation of their own, in which pure science inspires practical science and practical science inspires more pure science. Perhaps the same is true also of marginal and practical technologies and the engineering of curiosities and the engineering of mass industries. The dissipation of excess productions of the STEM cycle mean that unexpected sectors of the economy (as well as unexpected sectors of society) are occasionally the recipients of disproportional inputs. These disproportional inputs, like the inefficiencies discussed above, might be understood as either risks or opportunities. Some socioeconomic sectors might be catastrophically stressed by a disproportionate input, while others might unexpected flourish with a flourishing input. To control the possibilities of catastrophic failure or flourishing success, we must consider the possibility scaling the STEM cycle. To what degree can the STEM cycle be scaled? By this question I mean that, once we are explicitly and consciously aware that it is the STEM cycle that drives industrial-technological civilization (or, minimally, that it is among the drivers of industrial-technological civilization), if we want to further drive that civilization forward (as I would like to see it driven until earth-originating life has established extraterrestrial redundancy in the interest of existential risk mitigation) can we consciously do so? To what extent can the STEM cycle be controlled, or can its scaling be controlled? Can we consciously direct the STEM cycle so that more science begets more technology, more technology begets more engineering, and more engineering begets more science? I think that we can. But, as with the matters discussed above, we must always be aware of the risk/opportunity trade-off. Focusing too much of the STEM cycle may have disadvantages. Once we understand an underlying mechanism of civilization, like the STEM cycle, we can consciously cultivate this mechanism if we wish to see more of this kind of civilization, or we can attempt to dampen this mechanism if we want to see less of this civilization. These attempts to cultivate or dampen a mechanism of civilization can take microscopic or macroscopic forms. Macroscopically, we are concerned with the total picture of civilization; microscopically we may discern the smallest manifestations of the mechanism, as when the STEM cycle is purposefully pursued by the R&D division of a business, which funds a certain kind of science with an eye toward creating certain technologies that can be engineered into specific industries — all in the interest of making a profit for the shareholders. This last example is a very conscious exemplification of the STEM cycle, that might conceivably be reduced the work of a single individual, working in turn as scientist, technologist, and engineer. The very narrowness of this process which is likely to produce specific and quantifiable results is also likely to produce very little in terms of epiphenomenal manifestations of the STEM cycle, and thus may contribute little or nothing to the more edifying dimensions of civilization. But this is not necessarily the case. Arno Penzias and Robert Wilson were working as scientists trying to solve a practical problem for Bell Labs when they discovered the cosmic microwave background radiation. We have at least as much reason to hope for the future as to despair of the future, if not more reason to hope. The longer civilization persists, the more robust it becomes, and the more robust civilization becomes, the more internal diversity and experimentation civilization can tolerate (i.e., greater social differentiation, as Siggi Becker has recently pointed out to me). The extreme social measures taken in the past to enforce conformity within society have been softened in Western civilization, and individuals have a great deal of latitude that was unthinkable even in the recent past. Perhaps more significantly from the perspective of civilization, the more robust and tolerant our civilization, the more latitude there is for like-minded individuals to cooperate in the founding and advancement of innovative social movements which, if they prove to be effective and to meet a need, can result in real change to the overall structure of society, and this sort of bottom-up social change was precisely the kind of change that agrarian-ecclesiastical civilization was structured to frustrate, resist, and suppress. In this respect, if in no other, we have seen social progress in the development of civilization that is distinct from the technological and economic progress that characterizes the STEM cycle. As I wrote in my recent Centauri Dreams post, SETI, METI, and Existential Risk, to exist is to be subject to existential risk. Given the relation of risk and opportunity, it is also the case that to exist is to choose among existential opportunities. This is why we fight so desperately to stay alive, and struggle so insistently to improve our condition once we have secured the essentials of existence. To be alive is to have countless existential opportunities within reach; once we die, all of this is lost to us. And to improve one’s condition is to increase the actionable existential opportunities within one’s grasp. The development of civilization, for all its faults and deficiencies, is tending toward increasing the range of existential opportunities available as “live options” (as William James would say) for both individuals and communities. That this increased range of existential opportunities also comes with an increased variety of existential risks should not be employed as an excuse to attempt to reverse the real social gains bequeathed by industrial-technological civilization.